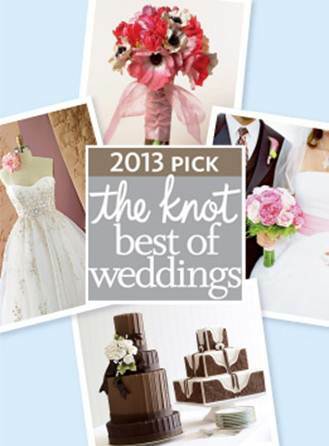 We are excited and honored to have been selected as one of the 2013 Best of Weddings winners by The Knot! This award is especially exciting because it is based on the many wonderful reviews written by our past wedding clients. We are so grateful to have worked with such a fabulous group of brides and grooms over the last year - thank you for all the love and support each and every one of you have shown us! Keep spreading the good word... 2013 is booking quickly, so have your engaged friends and family reserve their date today!